Gatwick Airport has been a major transport hub for over 80 years and in that time it has become one of the busiest airports in the world. It may not be the biggest, but that doesn’t mean it isn’t the best, especially when it comes to car hire. Of course, we should know. After all, it’s in our name. So, what car hire company should you choose when flying to Gatwick? We have a few ideas, but here are the services and features we suggest you look out for! No matter how luxurious the seats you’ve chosen, no matter how designer your luggage, you can’t pay for punctuality when it comes to air travel. There will always be delays and late flights, and when this happens you want to know that you can drop off keys at a time that suits you. At Gatwick Car & Van, we have lockboxes that can be accessed by customers around the clock, so you never have to worry about late charges. The experience you have with your chosen car hire firm will likely be reflected by their online reviews. Not reading the reviews beforehand could, if the firm is new and inexperienced, leave you wanting a better customer experience when you pick up your car. For a great example of customer experience, take a look at our 100% customer satisfaction score. You’ll also find reviews written by satisfied customers. This will give you peace of mind that the company you’re dealing with are professional, courteous and trustworthy. Everybody likes a complimentary service. When it comes to airport car rental, a sure way of knowing that your hire firm are genuinely interested in your travel arrangements is their pick up and drop off policy. If they care about you finding their premises in a timely and safe manner, then they should offer to collect you themselves. Of course, this is a service that Gatwick Car & Van Rental have been providing from the very beginning. Look for a company whose cars are new and in good condition. The vehicle that you choose to hire should be no more than a few years old to ensure it is in top working condition. Nobody wants to be stranded in a part of the world that they are unfamiliar with. 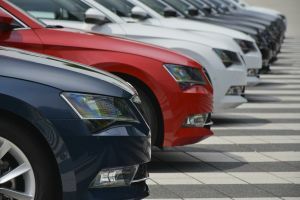 So, to avoid such a scenario, choose a firm that offers the latest models from established marques such as BMW, Ford and Volkswagen.